Paulo Catrica (born 1965, Lisbon; lives Lisbon) studied Photography (Ar.Co., Lisbon, 1985) and History (Lusiada University, 1992). He took an MA on Image and Communication at the Photography Department of Goldsmith’s College and an Audio Visual PhD Studies at the School of Art and Media (University of Westminster), researching The New Towns Program / UK 1946-1970s. He has exhibited at the Portuguese Center of Photography, at the Finnish Photography Triennal and the Calouste Gulbenkian Foundation in London, among other locations. He has published his work in national and international books and magazines, participated in several individual and group exhibitions, and has collaborated several times with scopio Editorial Line: invited author in the section Projects of scopio magazine aboveground city, speaker at the congress ON THE SURFACE: Public Space and Architectural images in debate and invited speaker for the second session of the Conference Cycle CFM + DTW, with "The making of urban & architectural photographs Nineteenth century photographs and the discourses of architecture and urban planning.". Paulo Catrica´s work on urban landscapes and architecture is an original synthesis that offers a fresh and insightful perspective of the recent past and present realities of our hybrid city. The diverse series he published in scopio aboveground city shows clearly how Paulo Catrica is focused on the subject of public space and city life, understanding critically the rich multi-faceted world that exists in the cities. It is clear his insightful understanding of architectural spaces and their uses through time. He is a photographer with a strong interest in history and his subject of election is urban landscape, especially city spaces and architecture and his interesting work has a postmodernist strand of its own. a descriptive mood the photographs endorse landscape as a cultural construction. They look into urbanism and architecture as ideological epitomes, seen through the organization of public spaces. Operating as visual fragments of a non-existent whole, Subtopia intends to create an imaginary New Town by assembling photographs from five different towns, chosen according to the different historical and political phases of the New Towns program: Stevenage (1946), Harlow (1947), Cumbernauld (1955) Runcorn (1964) and Milton Keynes (1967). Reclaiming an allegorical condition, as palimpsests, the photographs trace other layers beneath the image surface. They affirm their arbitrariness and contingency, refusing any intention to impose a unitary vision upon the subject. 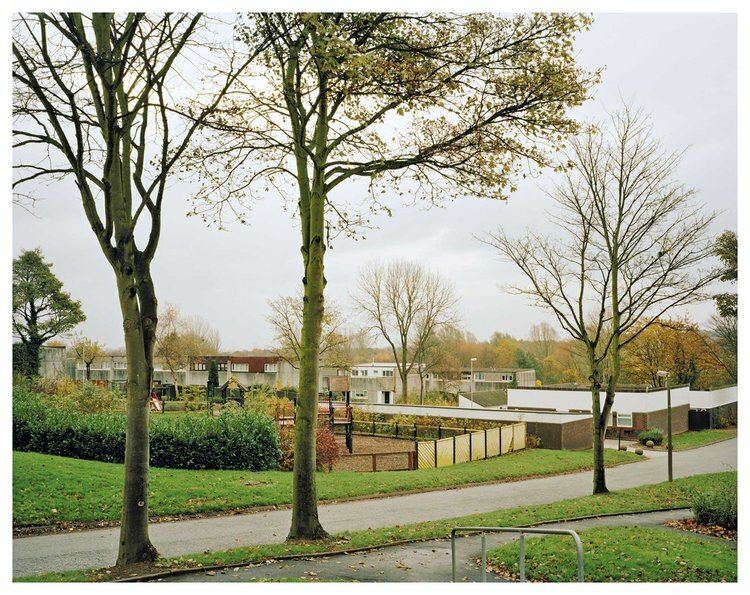 In their subjective task they aim to further another possibility to quest the significance of suburban space in post-war British culture and collective memory. This project was published in scopio magazine, aboveground: city.